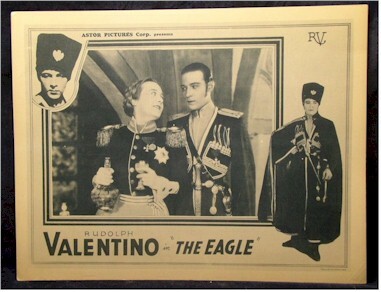 1925 - 1925 United Artists classic "The Eagle" directed by Clarence Brown and picturing Rudolph Valentino. 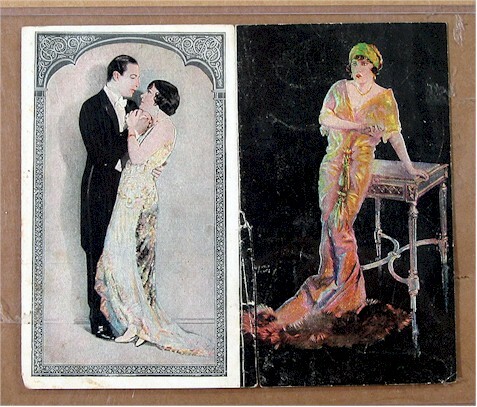 Condition is good, there is some light creases around the borders, small stains on the borders, repaired small holes in the upper right corner and in the lower right corner of the frame that goes around the scene, repaired chip in the lower right corner and pinholes scattered all around the card. 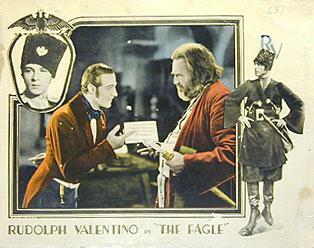 A very rare and exciting original lobby card. A beautriful Astor re-release from the early 30's . Nice Valentino vintage piece. Excellent condition. 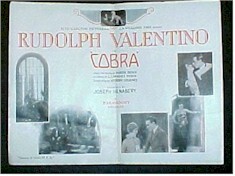 1926 - "Cobra" - ORIGINAL Herald - A beautiful and very RARE piece of original memorabilia from this 1926 Valentino silent feature. You won't see many of these around. 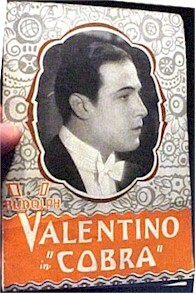 RUDOLPH VALENTINO SWANSON BEYOND THE ROCKS PBK HERALD - VERY RARE! 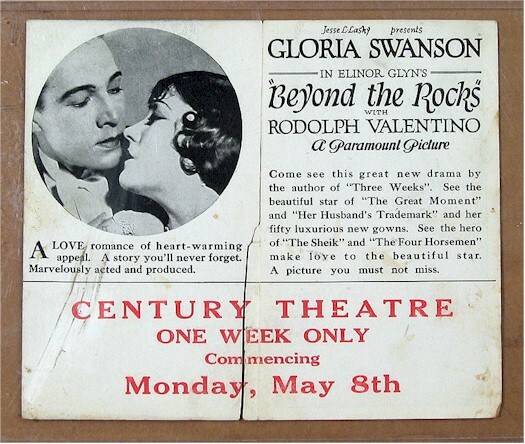 This is an original 4 page pressbook herald for the 1922 movie Beyond the Rocks with Rudolph Valentino and Gloria Swanson. Beautiful image of the 2 stars on the cover and inside. The herald is in FAIR COND ONLY. 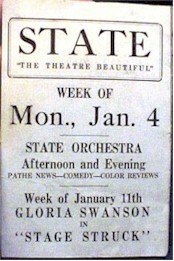 The center fold line seperated and torn about 3/4 of the way. Herald has some staining, scratch marks and wear. Still very displayable.